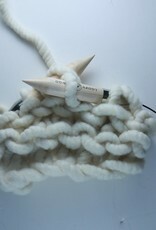 Giant Knitting Needles - Size 50 25mm or Size 36 20 mm Circular Made from birch wood and flexible plastic connecting wire. 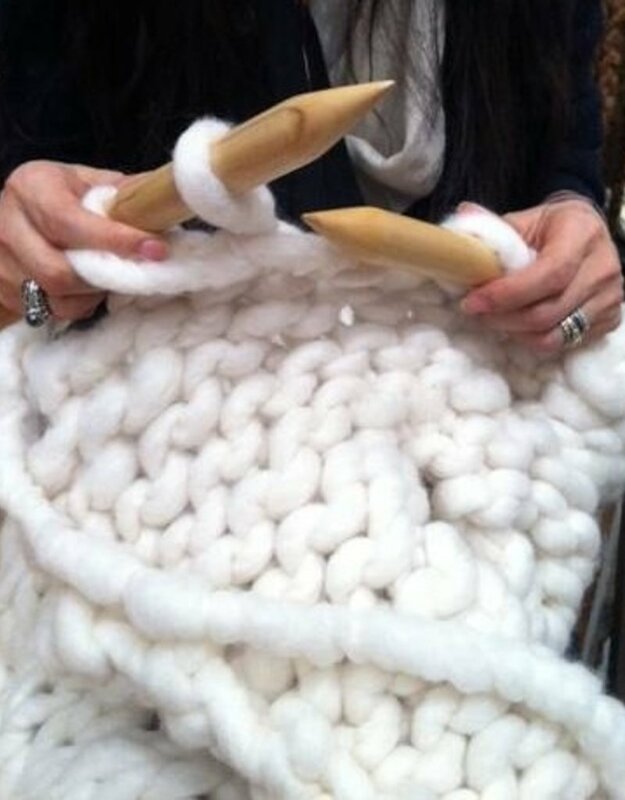 These beautiful circular needles are so easy to use even if you have never used circulars before! They are compact, light and versatile - use them for anything from scarves to big throws, blankets or rugs. 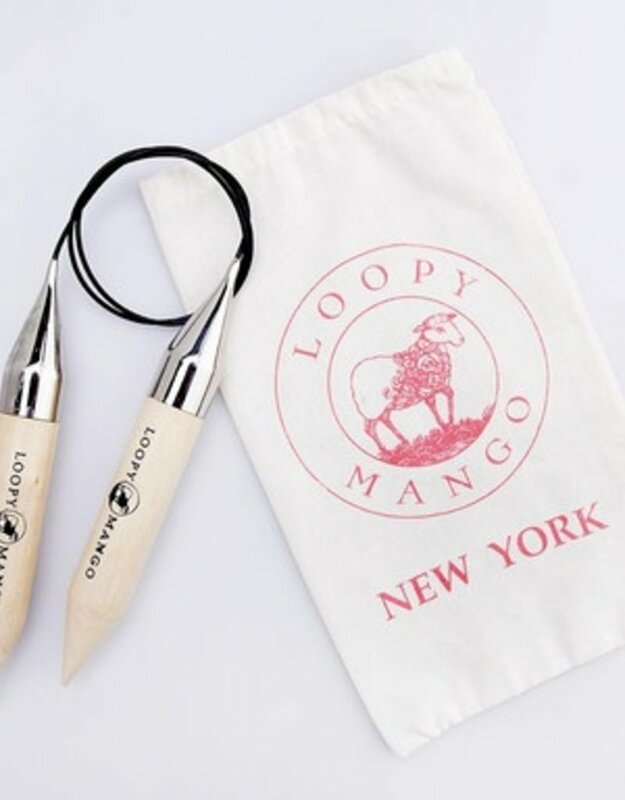 It's a great compact alternative to straight knitting needles to work with our Loopy Mango Big Loop Yarn.They make everything knit so much faster! 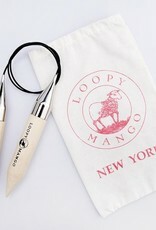 Needles are packaged in a cotton Loopy Mango Drawstring bag. 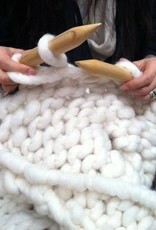 Can't decide between Circular or Straight needles? 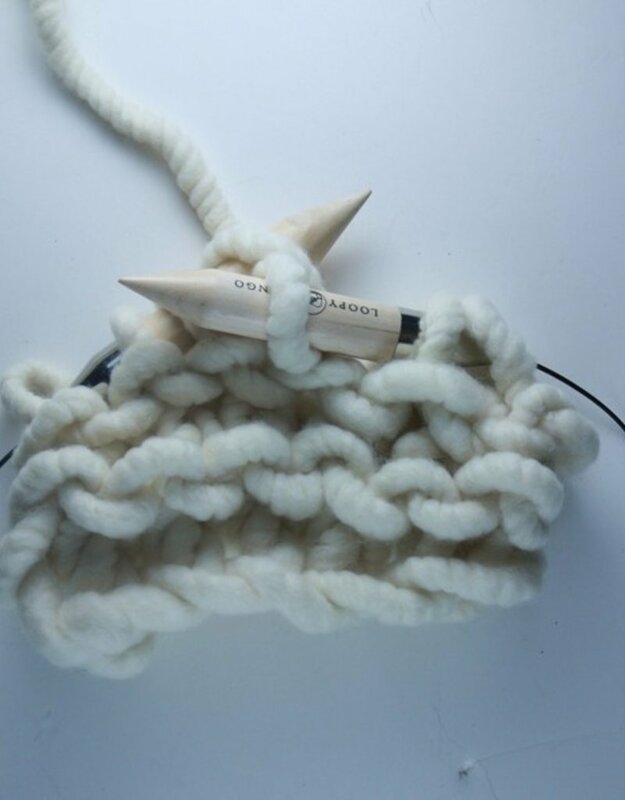 You will knit much faster on Size 50 circulars as compared to size 50 Straight Needles. They are also much lighter, easier to manipulate and very compact - great for travel! And the Best Part - Circulars are cheaper than straights!